Sunny but cold as I’m writing this. Time to get adapted to working indoors for the next couple months. Thanks for a good year. I’ve enjoyed getting out on the road and working bees with a good number of you. 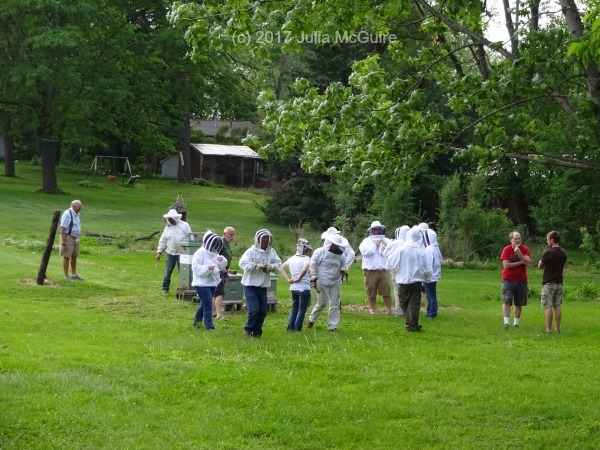 I got to meet a ton of new beekeepers this year, which is among my favorite parts of this work. 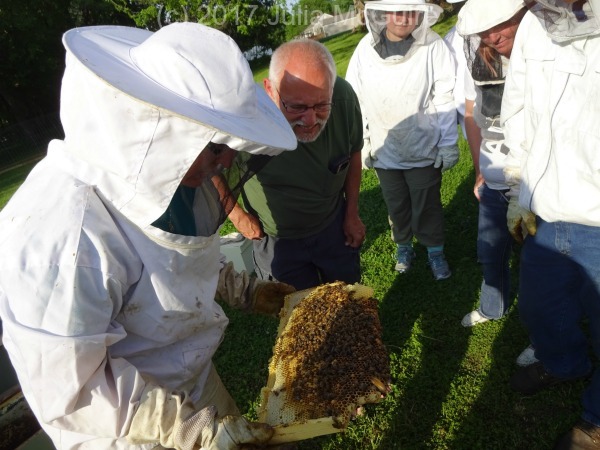 This past decade has at least tripled the number of beekeepers in our state. The IHPA membership has quadrupled I believe. And today I realized that no less than 36 beekeeping courses are being offered this winter. By contrast, there were 8 courses offered in ’08 and ’09. Amazing, right? Most recently the inspection work has focused on the bees being moved out to the almonds. 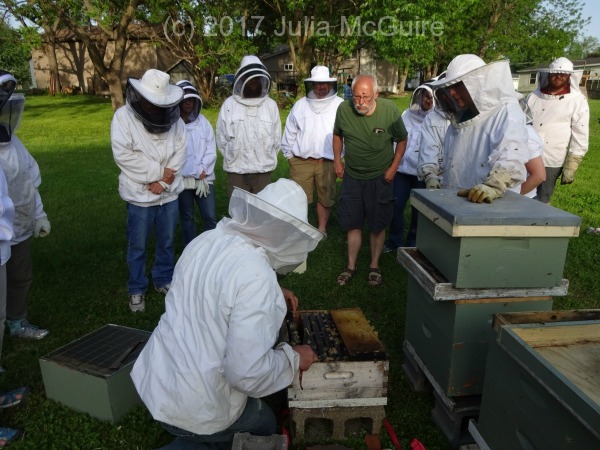 I enjoy this work because of the great group of commercial beekeepers who live here in Iowa. These inspections and the related paperwork allow me to have at least a quick point of contact with these guys. I feel lucky to know them and I typically end up learning a thing or two in our short conversations during this busy time of their year. Here’s hoping your bees are tucked away nicely for the winter. There was plenty opportunity to get a good mite treatment accomplished and get them heavy with stores of food. Hopefully things have come along well for each of you. On a warmer day, consider checking them to be sure they haven’t eaten too much already. While the milder temperatures over the past month allowed us ample opportunity to care for the bees, it also allowed the bees to stay pretty active and burn right through their stores if you weren’t paying close enough attention. On a 40+ degree sunny day you can pop a lid and check to be sure they’re clustered low with plenty of food above them. I like to find a good day or two around the first of the year to peek in on them. If they’re cluster high in the hive right under the lid and the box is no longer as heavy as it was, I’ll give them some winter food. This supplemental feeding sure is a lot cheaper than buying replacement bees. I’ve done a lot of “mountain camp” dry sugar feeding in mid / late winter, and it works well but is messy and can be a bit wasteful. The winter patties being sold now are great and aren’t too expensive especially if you have just a handful of hives. I encourage you to throw a couple/few on at a time as needed. For all the hype and excitement over oxalic acid use during the warm season, I’m still not convinced at all that it’s worth your time. Hopefully I’ll eventually eat my hat, but I think while brood is present, all OA provides is false confidence. Now we’ve come to the time of year when OA could be just the ticket. Now that we’re more-or-less broodless, all we need is that good window of a couple days in the mid-40s. 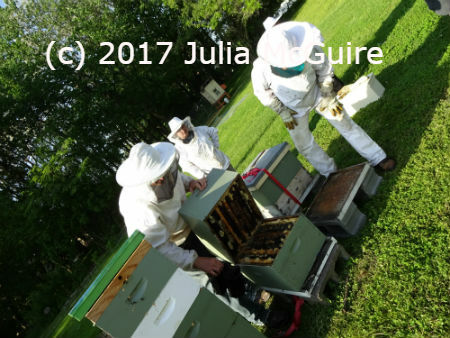 A blast of vaporized OA or a dribble of OA in syrup into loosely clustered bees could kill nearly all the mites remaining in the hive. No brood = no hiding place, and great exposure. Enjoy the cold and the indoors and the familytime and the holidays and the plan-making for spring. We had a great meeting with roughly twenty people attending, full of technical support and fellowship and ending by looking at Judith’s bees in her top bar hives. Different markets will determine sales success with respect to creamed honey and bottling choices. Record keeping – Why? To anticipate and prepare for next inspection, etc. Thank you to our hosts Mike, Julie, and Susie and family! We were able to see how to make two different kinds of splits; queen cells capped, uncapped, swarm and supercedure, and chewed out; and discussed all sorts of things. 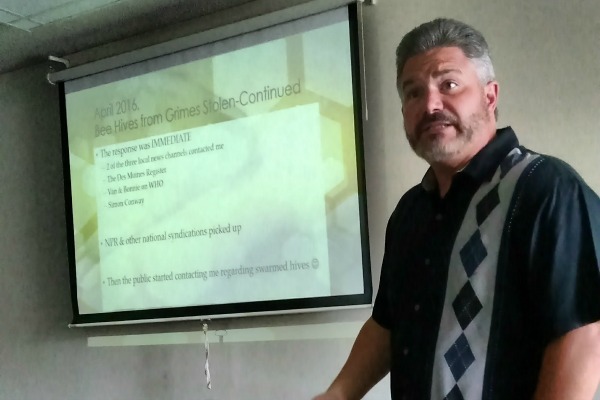 We had Mark Lohafer speak about his experience with the IDALS Pesticide Bureau. I appreciated his honesty and the time he took for each person asking a question. Below are my notes, as well as a handout I made in response to students inquiring about keeping hives near conventionally farmed land. After this meeting, I feel that I will be able to respond better on department activity when asked by students and make informed decisions on hive placement.